Pure Spa Direct Blog: Mobile Estheticians, Don't Be Left in The Dark - Take This Handheld Magnifying Lamp With You! Mobile Estheticians, Don't Be Left in The Dark - Take This Handheld Magnifying Lamp With You! I have had so many clients ask me if we offer portable magnifying lamps...and my answer has always been to offer either small table mount magnifying lamps, or clamp on lamps that are big and bulky to cart around. Well, not anymore! 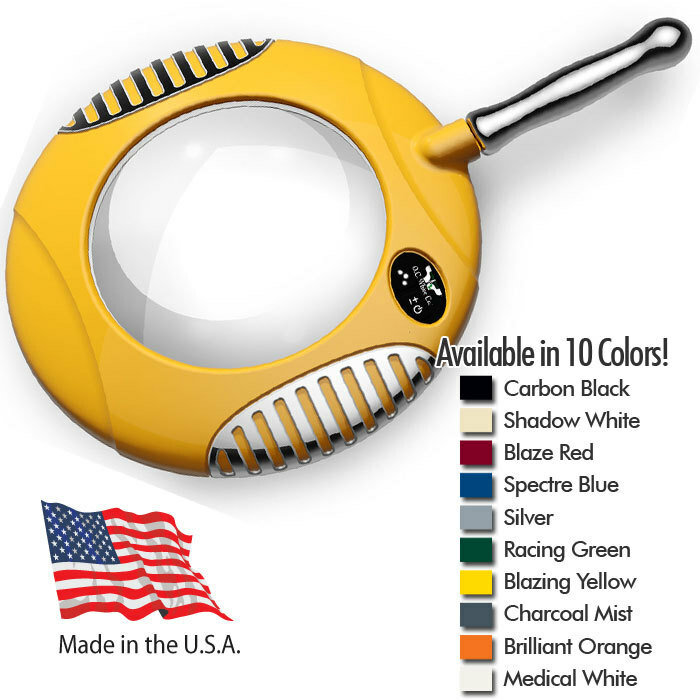 We just added the most exciting Magnifying Lamp - and I think you are going to LOVE it! The Green-Lite® - 6" Round Handheld LED Magnifier is IDEAL for mobile technicians, or even clients who are just short on space! Now you don't have to sacrifice size or quality to allow for portability! Like all O.C. White lamps, this Handheld LED Magnifier is made in the USA, features a 5-year warranty, and is available in 10 amazing colors! So - which color will you choose? Happy Halloween From the Pure Spa Direct Team! Berry Delicious Beauty Benefits from the Amazon! Rub A Dub Dub, What's Trending In The Bathtub! Expand Your Business with Yoga! Just in time for Halloween - Satin Smooth Masks! Retail Some Relaxation This Holiday Season! New Holiday Candles! (Too Soon)? Aurora - Shellac & Vinylux New Collection! Get Nail Ready For Winter! Beat Winter Skin With This Power Packed Combo! Beat The Winter Retail Rush On Heat!